Everything was great! Jenna at the front desk was exceptional! Very beautiful resort! Peaceful, fabulous staff and amenities! Definitely will stay again! Where to find Ponte Vedra Beach hotels near an airport? Where can I find hotels in Ponte Vedra Beach that are near tourist attractions? 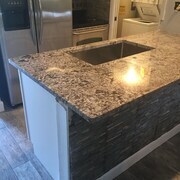 Looking for a room in Jacksonville, specifically in the Ponte Vedra Beach area? Within easy driving distance of central Ponte Vedra Beach you'll find 2 Expedia-listed hotel and apartment options from which to choose. 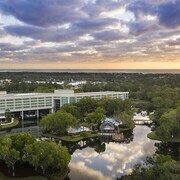 Expedia-listed hotels that are within driving distance of Ponte Vedra Beach include the Sawgrass Marriott Golf Resort & Spa and Hilton Garden Inn Jacksonville / Ponte Vedra. 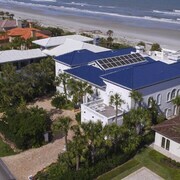 Check out the The Lodge and Club at Ponte Vedra Beach and also the Casa Monica Resort & Spa, Autograph Collection. 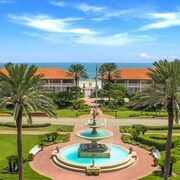 The The Lodge and Club at Ponte Vedra Beach is situated 12 kilometres (7 miles) away from downtown Ponte Vedra Beach. The Casa Monica Resort & Spa, Autograph Collection, is located 30 kilometres (17 miles) away. Two more Expedia-listed hotels include the Ponte Vedra Inn & Club and the Old City House Inn & Restaurant. After you have spent time in Ponte Vedra Beach, why not travel a little more of the area? The Northeast Florida region has plenty of great the other cultural and scenic and cultural delights to offer. Northeast Florida offers beaches. Commonly visited Northeast Florida visitor draws are history museums and lighthouses. In this part of United States of America tourists might also try their hand at hiking, horse riding and shore fishing. 45 kilometres (27 miles) to the northwest of Ponte Vedra Beach is North Jacksonville, where you can spend the day visiting Catty Shack Ranch Wildlife Sanctuary and Pecan Park Flea and Farmers' Market. If you'd like to spend a few nights in North Jacksonville, check Expedia's booking pages for the latest deals at the Crowne Plaza Hotel Jacksonville Airport/I-95N and Hyatt Place Jacksonville Airport. 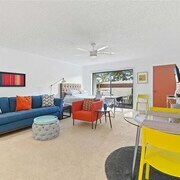 Or, you could consider staying in Southeast Jacksonville, 19 kilometres (12 miles) to the northwest of Ponte Vedra Beach, where you'll find the Jacksonville Marriott and Homewood Suites by Hilton Jacksonville/St. Johns Center. The Mandarin Mill Family Golf & Batting Cages and Morocco Shrine Center are a couple of the popular places to explore while in Southeast Jacksonville. Jacksonville International Airport is a convenient airport, and is located 50 kilometres (31 miles) away from Ponte Vedra Beach. Conveniently located hotel options include Hampton Inn Suites Jacksonville Airport and Hilton Garden Inn Jacksonville Airport. What are the most popular Ponte Vedra Beach hotels? Summer Place Half a Blok From the Beach! Are there hotels in other cities near Ponte Vedra Beach? 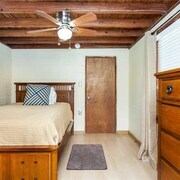 What other types of accommodations are available in Ponte Vedra Beach? 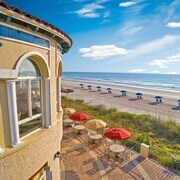 Explore Ponte Vedra Beach with Expedia.ca’s Travel Guides to find the best flights, cars, holiday packages and more!